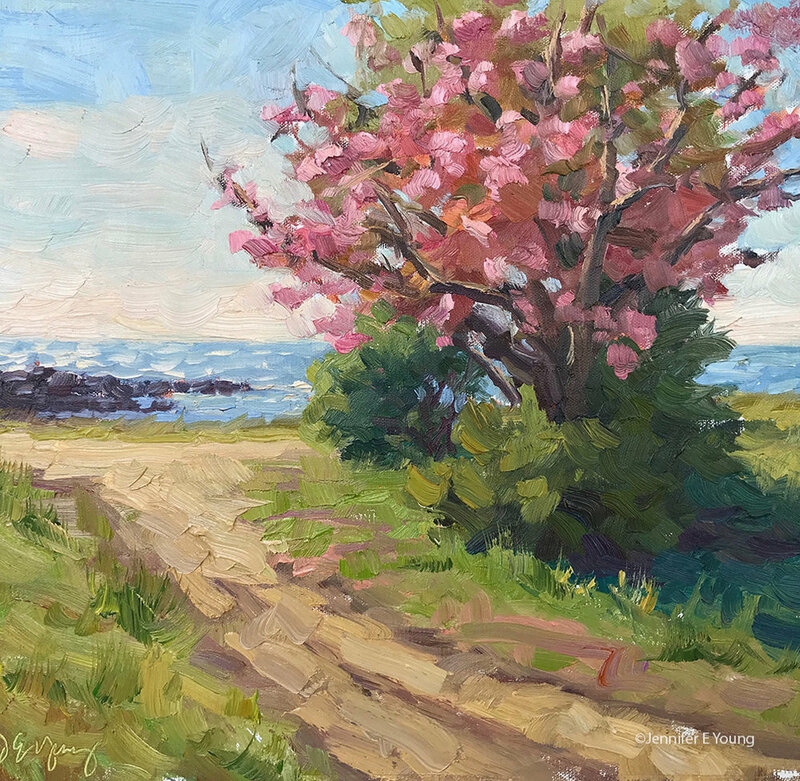 Plein Air Westhampton was my final major plein air event for the summer. This one was much closer to home, in Richmond, Virginia, which normally would have made it a cinch logistically. 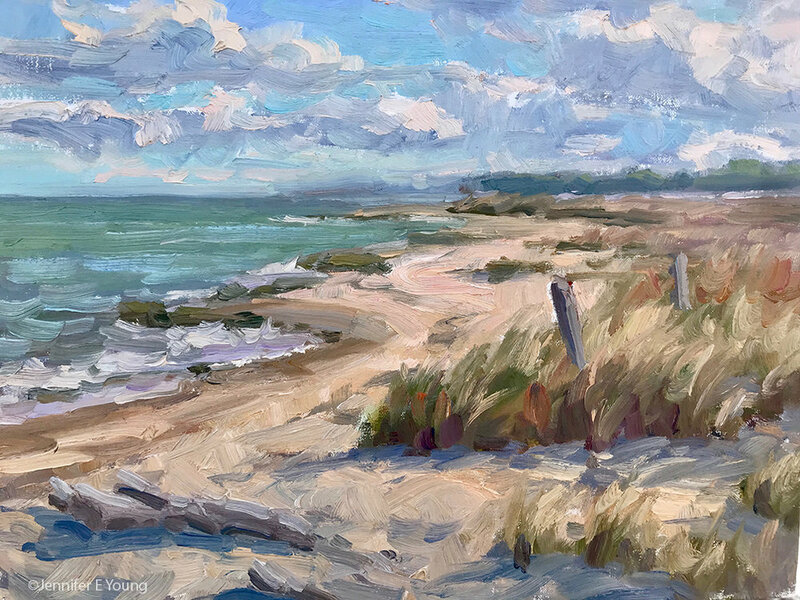 However, with a child in primary school and a new puppy at home, I still wasn't able to do morning-to-night painting because Westhampton was about an hours' drive round trip from where I live in Ashland. Nevertheless, I got five good paintings out of the week. 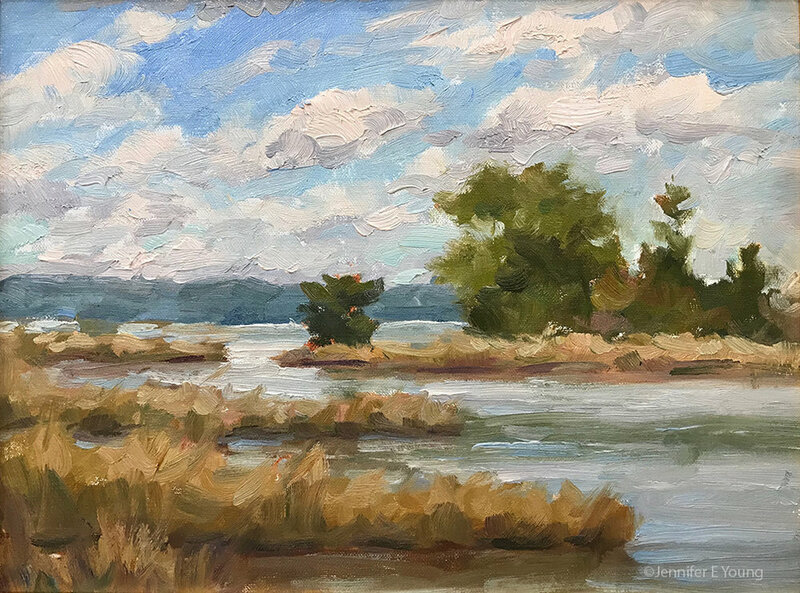 I felt really lucky to be a part of this inaugural plein air festival. I had the best time painting at this event. The vibe was imbued with excitement and comradery, but it was also low pressure at the same time, which I think helped my painting overall. This event took place in a really lovely part of old Richmond in a neighborhood filled with stately homes, old churches and charming shopping areas. Works painted by the 20+ participating artists during the week were exhibited in an outdoor tent during the street party called Party On the Avenues held on the final Sunday. It was a well attended show that seemed to garner a lot of interest from the local press and public, and I had a great time painting in this charming district. 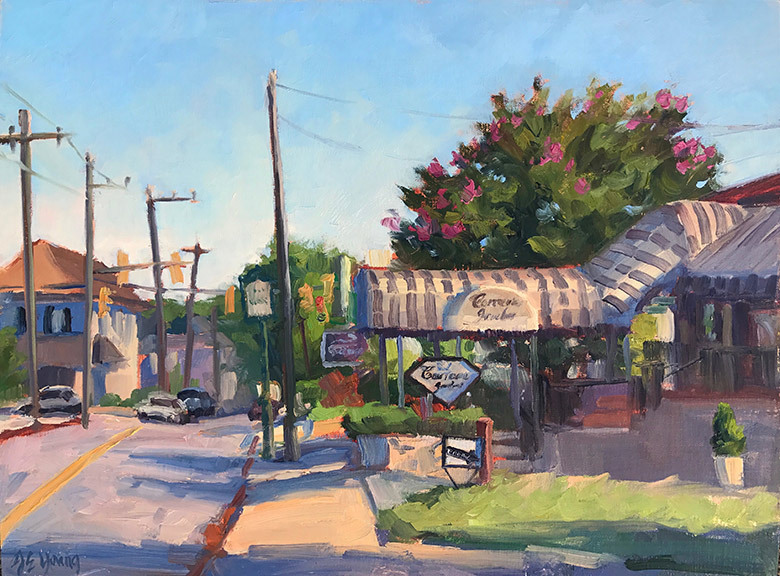 Being primarily a landscape painter, I really surprised myself by how much I enjoyed painting the street scenes, and the experience left me feeling like I really want to do more with this subject matter. Three of my paintings sold during the event, and one of them was an award winner! It was such a harried week with my back and forth schedule that I regret not getting better photos of my paintings before the show, but I'm including some shots I was able to snap of the paintings I completed during the event. The two remaining paintings are on display at a local Westhampton gallery called Palette Paint and Home . 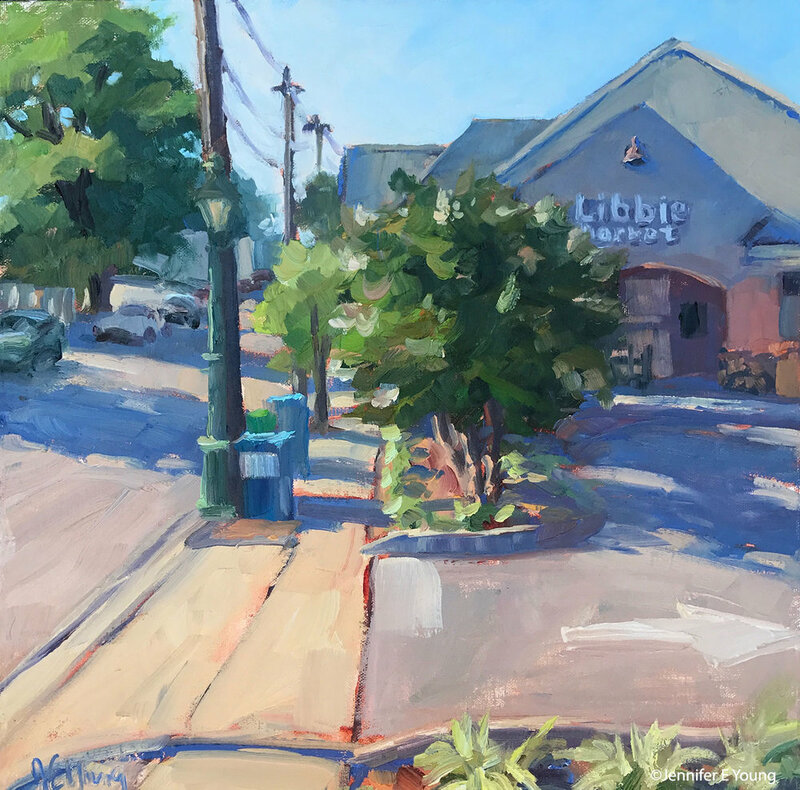 "Morning Light on Carreras", Oil on linen, 12x16"
"Corner Color", Oil on linen, 8x10"
"This Way to the Market", Oil on linen, 12x12"
"Garden Contemplation, St. Bridget's" Oil on linen, 11x14"
"I'll Walk You Home", Oil on linen, 12x12"